RYANAIR HAS OFFERED its Dublin pilots raises following on from its commitment last month to recognise unions for the first time in its history. In a letter to all Ryanair pilots employed in Dublin, chief commercial pilot officer Peter Bellew offered pilots at the base a new agreement which he said could secure them pay increases of up to 20%. Pilots in Dublin last year rejected a deal offered by the airline over pay and conditions. A similar deal was accepted by staff at Cork and Shannon bases. 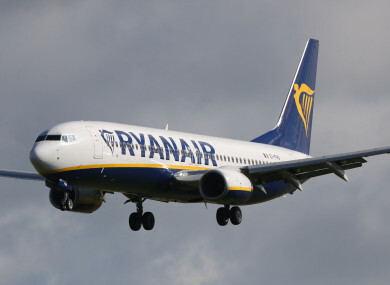 Pilots had rejected the deal in Dublin as part of a dispute over conditions at the airline. One key issue was the refusal to recognise unions to negotiate collectively on behalf of workers. Ryanair said last month it was reversing its longstanding policy of not recognising unions, as the airline faced the threat of widespread industrial action across Europe close to the busy Christmas period. This followed on from the airline playing hardball and threatening workers with sanctions if they went on strike. In his letter, Bellew said he and the company’s chief people officer Eddie Wilson had met with the Ireland Ryanair Company Council (IRCC) and the Fórsa/Ialpa trade union. He said the company reconfirmed its commitment to recognise the union, following the finalisation of an agreement. He said that these negotiations “should not delay the roll out of this pay increase for Dubli pilots who have not yet agreed to it”. He said that if the pilots voted on the agreement by 17 January then it would be included in the January payroll. “Since Ryanair has agreed to recognise unions in Ireland, we have removed all sanctions from these Irish base agreements relating to union recognition or industrial action,” Bellew said in the letter. He said the talks over recognising the union would continue “over the coming weeks”. The Fórsa trade union (formerly Impact) said in a statement to RTÉ News that it would be writing to Ryanair saying it will ballot members on the pay package. But it said that it was only an “interim measure” pending the completion of the union recognition agreement. Email “Ryanair offers its Dublin pilots a pay rise after it agrees to recognise unions ”. Feedback on “Ryanair offers its Dublin pilots a pay rise after it agrees to recognise unions ”.